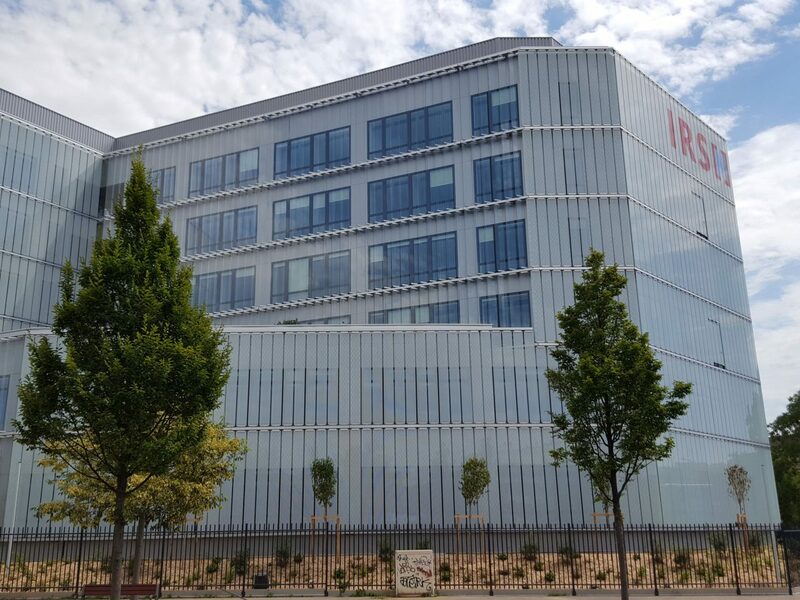 The new office building of the IRSN (INSTITUT DE RADIOPROTECTION ET DE SÛRETÉ NUCLÉAIRE) in Fontenay-aux-Roses near Paris is situated next to the existing company buildings and looks like a cross from a bird’s eye view. The different wings of the building are arranged around a central distributor core and contain laboratories and conference rooms as well as workspaces and offices. The appearance of the building is characterized by a curtain wall made of screen printed glass louvers, which covers not only the facade but also the building edges. 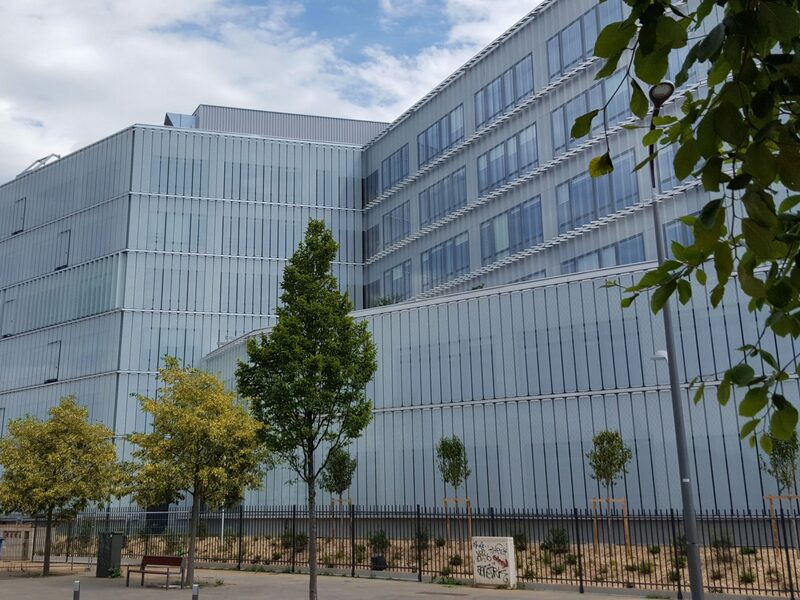 Since the building concept forgoes indoor air conditioning, a vital role is played by the solar protection, the interaction between the solar protection system and users, and the thermal quality of the facade. The solar protection system therefore incorporates a series of mechanisms and automatisms. The glass louvers of the outer skin are screen printed and designed to be movable. They can be turned into different positions depending on the angle of the sun. In contrast, the glass louvers on the north face of the building are designed without any imprint and fixed in a slanted, open position to ensure that natural daylight gets into the building. 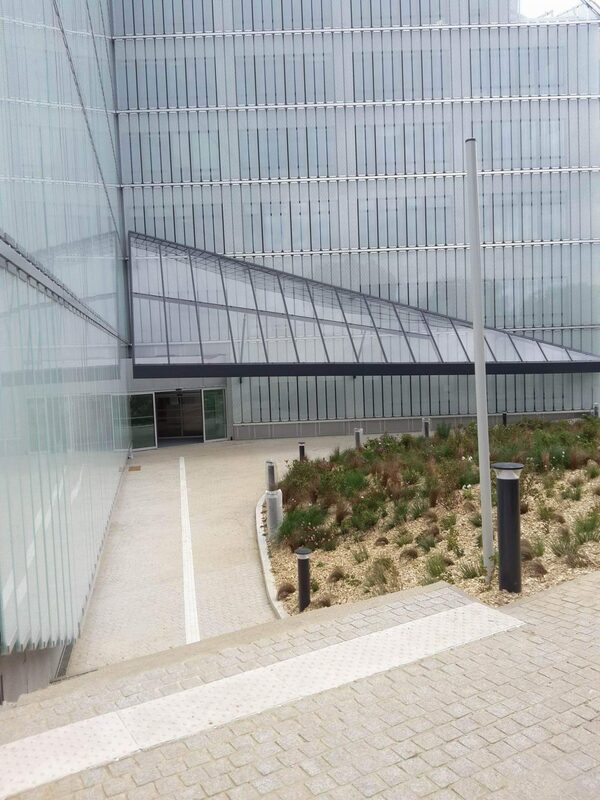 The main entrance of the new company head office was topped with a triangular steel and glass canopy.